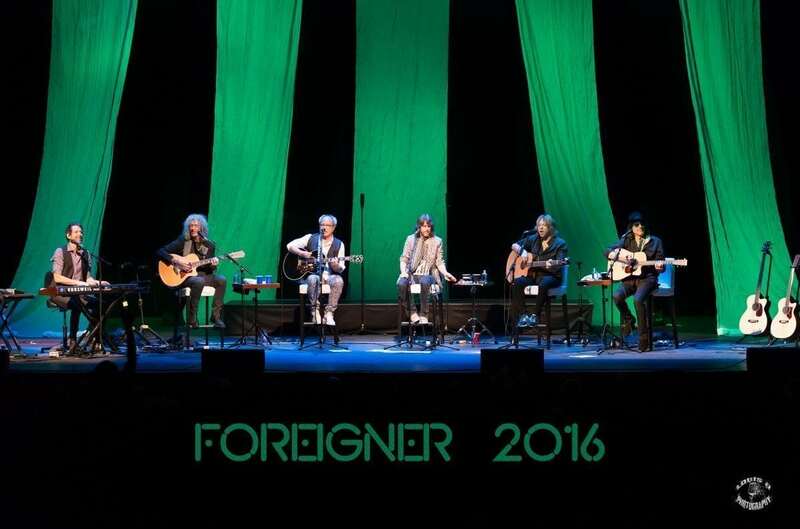 The legendary multi-Grammy and American Music Award nominated band Foreigner, who has over 80 million worldwide album sales and remains one of the best selling and recognized bands of all time, made the much anticipated premier of their 2016 acoustic tour opening at the F.M. Kirby Center in Wilkes-Barre, PA on Friday October 21, 2016. Foreigner announced earlier this year that they would be kicking off a month long acoustic tour running from October 21st through November 19th with a special and historical stop at the famed Carnegie Hall in New York City. However, Wilkes-Barre, PA would be the launching point for this long awaited, intimate, stripped down acoustic tour. There were no drum risers or drum kits, multi tiered keyboard stands, stacks of amps, electric guitars or the highly energetic full impact punch of a regular Foreigner show which typically includes lots of stage energy, running, and jumping along with guitar and drum solos. Instead, the atmosphere was very intimate and relaxed with six white stools lit with moody spots, several acoustic guitars on stands and a few tables with water bottles waiting for the band. The table next to Kelly Hansen, lead singer, had a few hand held percussion instruments he used throughout the set. Scheduled for an 8 p.m. start time, guests started arriving at the historical venue around 6 p.m. where the VIP guests were treated with a special meet and greet with the band before the start of the show. 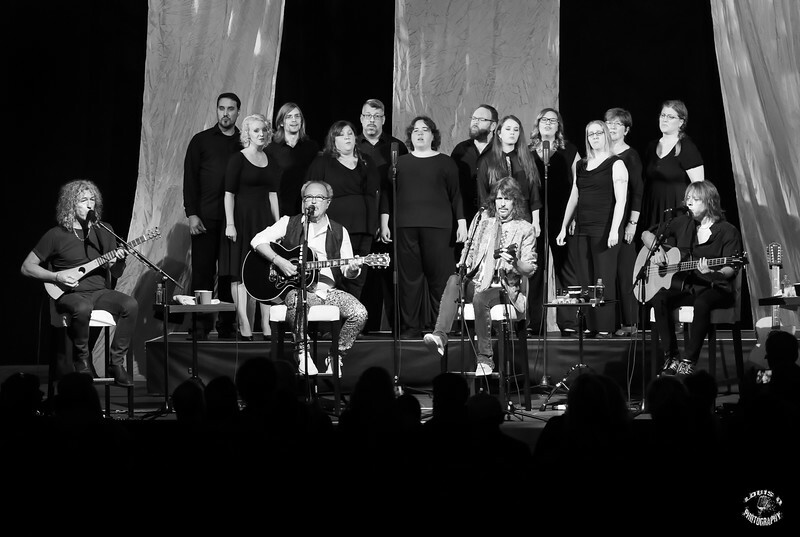 Most guests interviewed related a sense of being a part of a special night and feeling the venue and band members themselves made them feel like they were part of the show, relaxed and humbled being a part of the premier of the acoustic tour. At 8 p.m. Foreigners tour manager Phil Carson walked out on stage to the sold out crowd at the F.M. Kirby Center and announced the band. As the band members walked out waving and giving peace signs to the crowd, Mick Jones, one of Foreigners founding and only original member, walked out and greeted the audience with two hands waved overhead. The audience was going wild over the fact that Mick was in attendance for tonight’s performance. Mick, who has not toured regularly with the band much this summer, was definitely a nice surprise for all the Foreigner fans. All the band members seemed to sense the excitement and anticipation of the crowd and the historic significance their performance would have on the audience with a feeling of grace and gratitude shared between themselves and the crowd. After the warm greeting, the band made their way to their respective chairs on stage from left to right, Michael Bluestein on a Kurzweil electric piano, Bruce Watson on guitars, mandolin, Dobro, banjo and more, Mick Jones on guitar, Kelly Hansen on vocals, Jeff Pilson on bass and guitars and Thom Gimbel on guitars, flute, sax and bass. Kelly and Mick each said a few words thanking the crowd for being a part of this special intimate and emotional night, about the inception of the acoustic album largely giving credit to bassist Jeff Pilson before beginning their first song of their fifteen song set, “Double Vision.” The band performed flawlessly, as expected, giving the crowd a different flavor on this Foreigner classic hit. Mick got into a little singer-songwriter mode for the next song talking about when he first came to the “Big Apple” in the 1970’s after being in a few bands prior to forming Foreigner in 1976 with former lead singer Lou Gramm. He discussed the inspiration for the next song, “Long, Long Way From Home,” which featured Thom Gimbel on amazing saxophone. Next up was the popular song “Say You Will.” At times throughout the night, the band had emotional and intimate interactions with the crowd talking about the history, the members and inspiration for the songs. 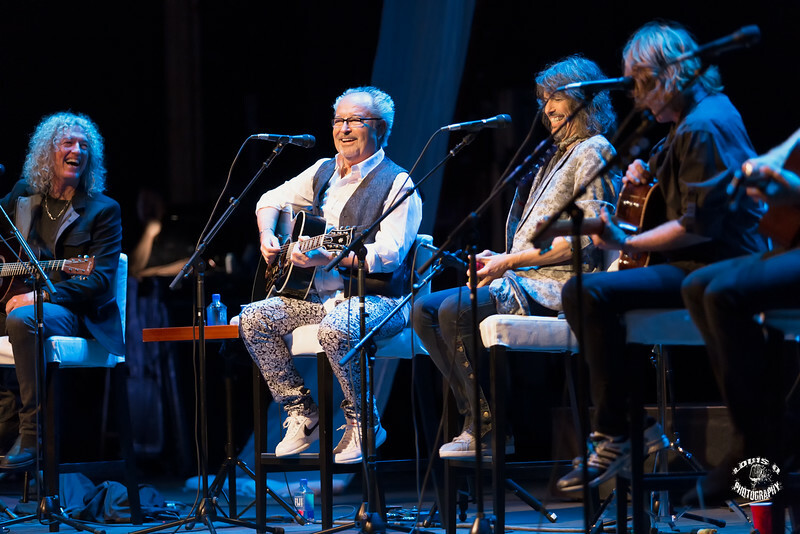 This being the 40th anniversary of Foreigner made it even more special as Mick talked about the ups and downs, trials and tribulations and various band members over the last 40 years. Above all, the harmonies were pure, smooth, silky perfection. Being stripped down without the loud distraction from the electric guitars, synthesizers or drums, the vocals were really the pinnacle of this acoustic set that blended well with the instruments. 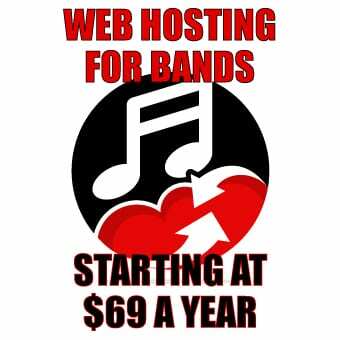 In the course of music history, many things stick out in the minds of the fans. Things like their first concert, meeting their favorite band or simply catching a guitar pick or drumstick thrown from stage. 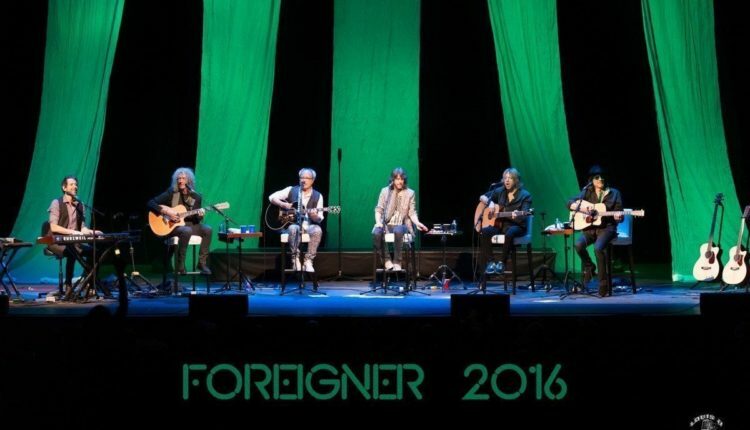 The premier of this Foreigner acoustic tour at the historic and intimate F.M. Kirby Center had to be one of those moments for many of the fans in attendance. The fans left sensing the different, real and graceful side of the band and their music heard in a way that will surely leave lasting memories.